Blood drawing or I.V. starts are the most frequent procedures in medical practice. In order to assure consistent and compassionate care, professionals and students alike can benefit from first practicing on a Veni-Dot® arm. Veni-Dot was designed by a phlebotomist who recognized that successful patient contact depends on the phlebotomy skills and self-confidence of medical personnel. 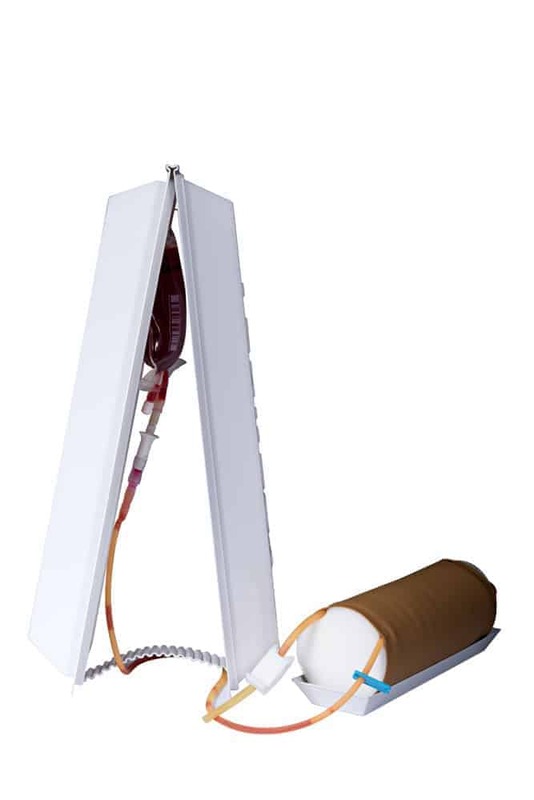 Veni-Dot Phlebotomy Training Device is a simulated forearm section with two different size veins. This offers immediate feedback as well as adjustable difficulty settings and allow users unlimited opportunities to practice and perfect proper techniques. Veni-Dot encourages development of the tactile sense for vein identification rather than reliance on visual cues. This cost-effective training device is self-contained, lightweight, and portable allowing for use in either an educational lab environment or individual “home” practice. Practice with Veni-Dot® increases confidence. Students can build skills and confidence through extensive hands-on practice before actually sticking a patient. Students gain familiarity with instruments and master technique in private before patient contact occurs. Veni-Dot® serves as a quick refresher course for infrequent users. There is also the option to increase difficulty which satisfies a wide range of training needs. In addition, there is a focus on the development of tactile sensitivity and successful vein identification. The benefit of the Veni-Dot® is that procedures can be repeated as often as needed at each level of difficulty until competence and self-assurance are acquired, without pain to human subjects. To order your Veni-Dot®, please click on the Shop tab, or call 651.385.2175 x3087. If you are using a purchase order email sales@acrotechis.com.